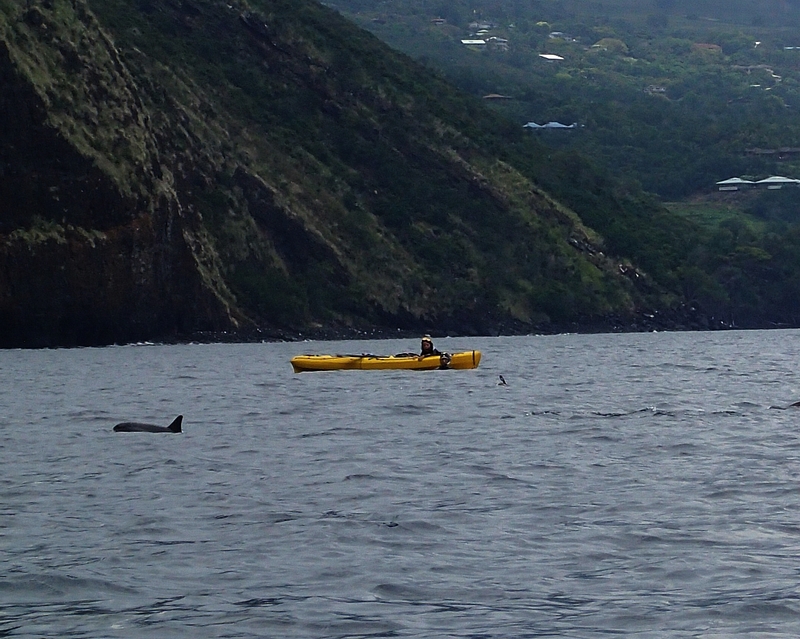 While you will often see dolphins in Hawaii, the best place to get up close to them is Kealakekua Bay On The Big Island. I still consider the day I spent there to be among one of the best days of my entire life. 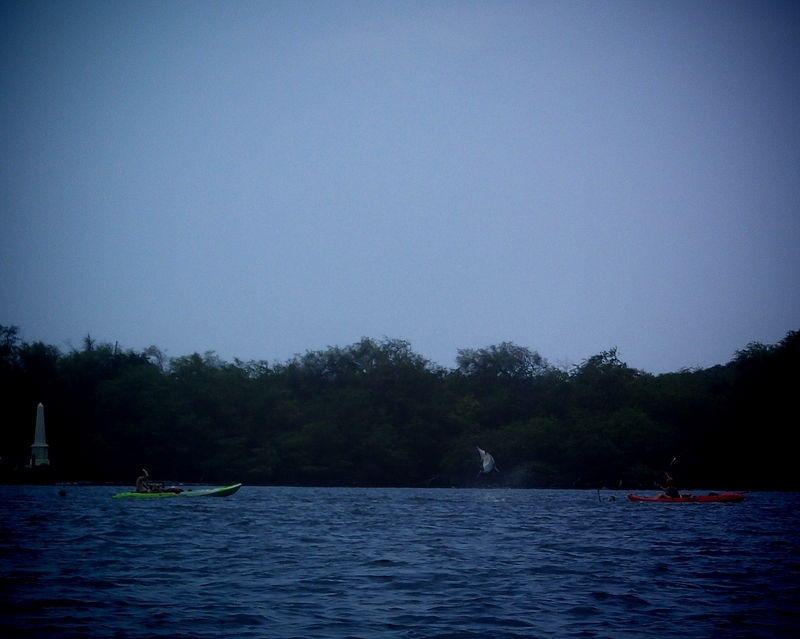 There was nothing more magical than being so close to the dolphins, swimming and kayaking with them in the water. 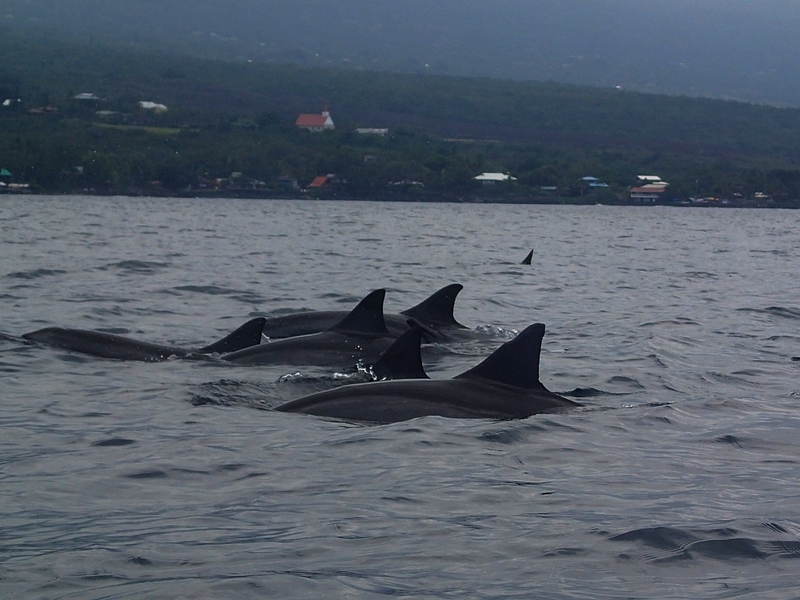 The earlier you can arrive at Kealakekua Bay the better, as the dolphins swim in the bay in the early morning. Though, the day I went, they stayed in the bay the entire day. The thing to remember when you see them is not to chase them. 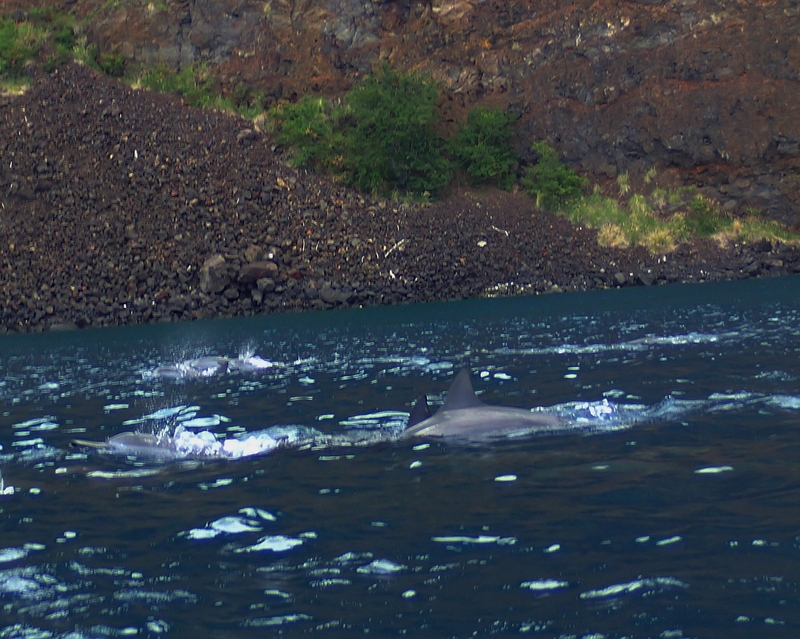 Just stay where you are and you will find the dolphins come right up to you. 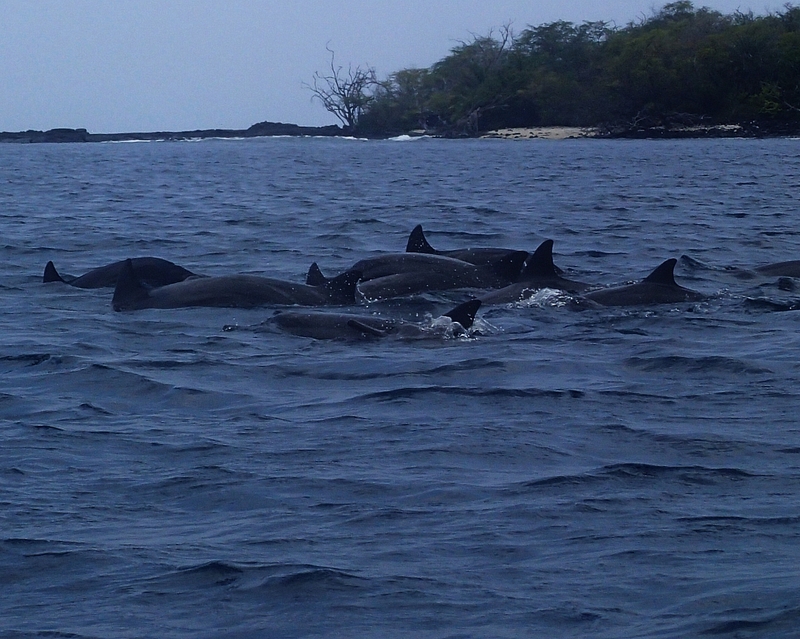 Seeing dolphins in Hawaii is a great privilege, so be respectful, as sometimes they are actually sleeping and may not interact with you. 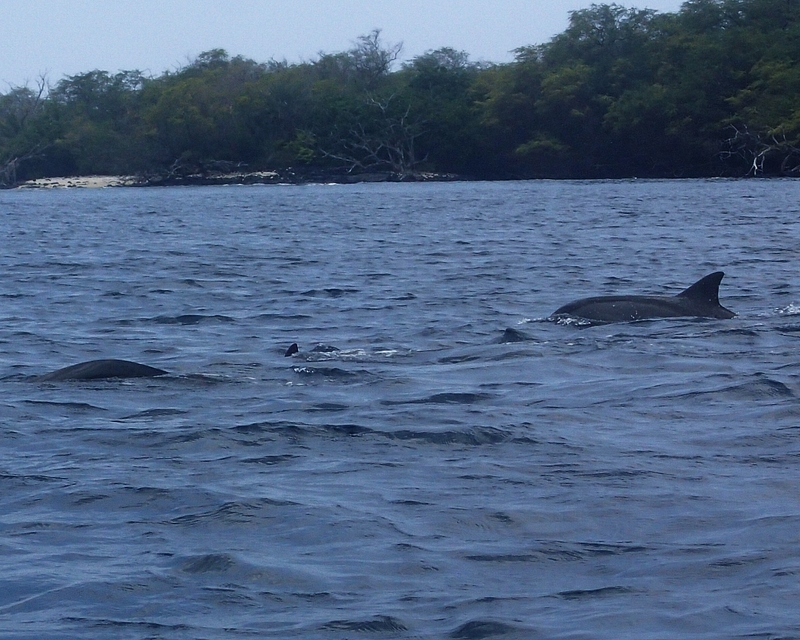 See this article for more ways to respect the wild spinner dolphins. 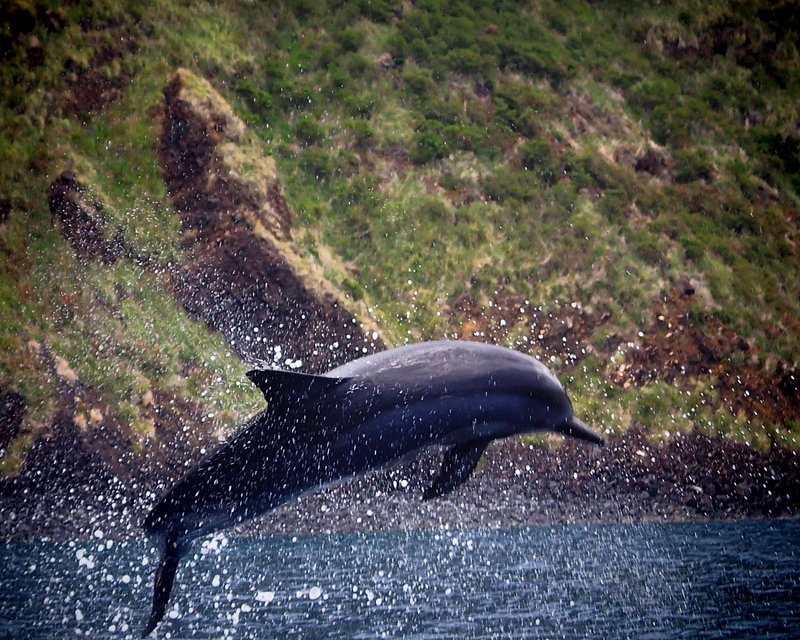 Dolphins are friendly and playful. And if they feel safe around you, they will put on quite a show, jumping and spinning, right next to you. I’ve never laughed more in my life as, when I got in the water, the dolphins surrounded me. 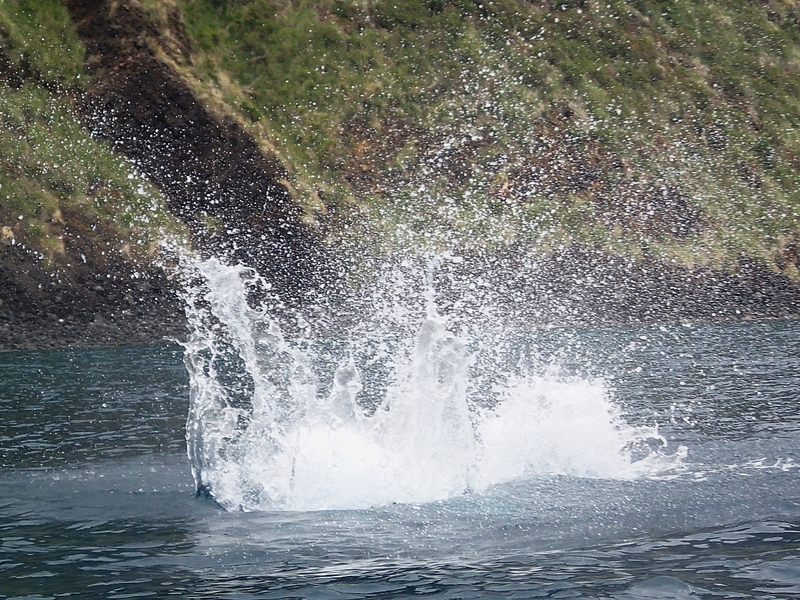 It seemed like a contest had started to see which dolphin could create the biggest splash. While you can take a guided tour, I think it’s better to rent a kayak yourself. 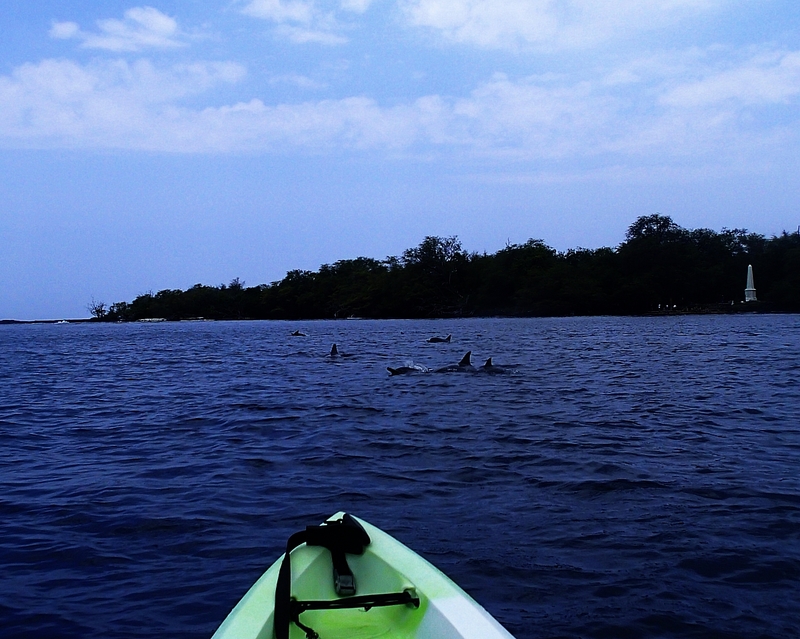 That way you can spend as much time as you like with the dolphins and have time for snorkeling. There is a place to rent kayaks right at the launch site from a private beach from a local family that lives there. So I recommend this, as you don’t have to put the kayak on your car to get it there. They will also help you to get your kayak in and out of the water. And, they will also give you the permit that you need to kayak here. There are only so many permits given each day, so this is another reason you should go early. To find the site, turn on Napoopoo Road and follow that road on the South side of the Bay. You will follow many one way streets and end up at a house with a gravel driveway. You will see the kayaks, and this is the place. There is also great snorkeling in this bay, so make sure to take a snorkel and mask with you. You are likely to see turtles, colorful fish, and beautiful coral. You may also see a few reef sharks, but don’t worry, they are harmless. The area is full of history as this Bay is also where the Captain Cook Monument is. Read a little history on Captain Cook before you go. It’s also close to the City of Refuge, a very spiritual site, that I recommend visiting for sunset after your time with the dolphins. Make sure to take much more water than you think you will need for the day, as you are likely to stay longer than you think you will, and it’s easy to get dehydrated. Also, take snacks with you on your kayak, as if you rent your kayak from a private company, you are not allowed to land on the beach, and there are no facilities at Captain Cook Monument. 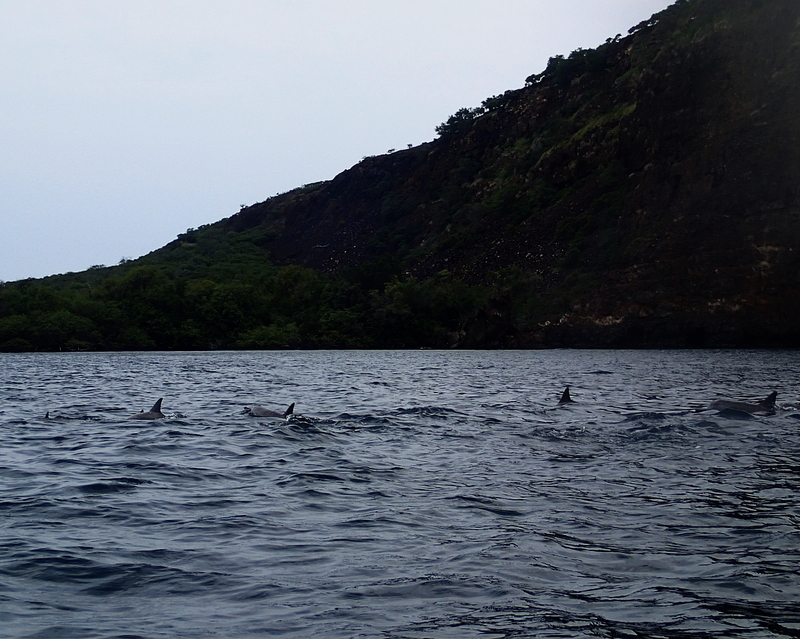 If you want to see dolphins in Hawaii, this is definitely one of the most magical and spiritual places to do so. Being among these magical creatures is something I will never forget, and it’s a day I have much gratitude and joy for. 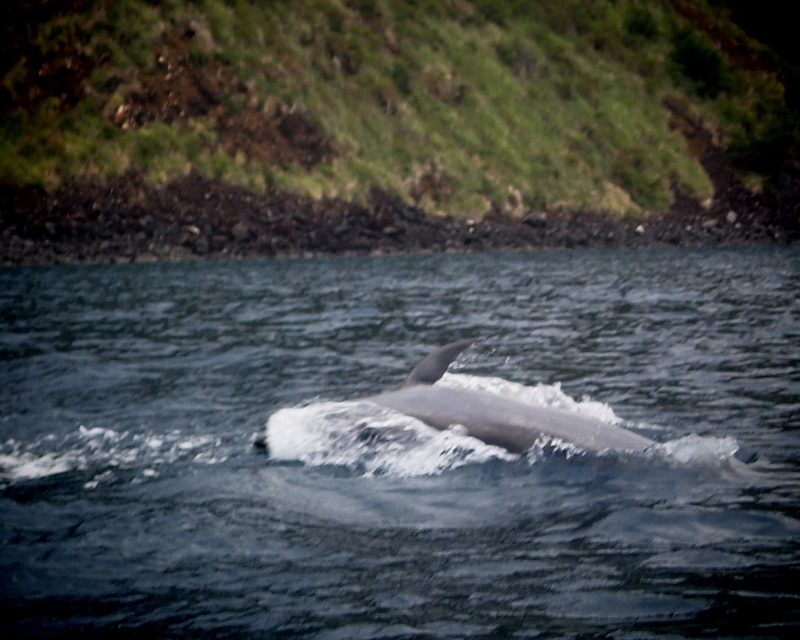 I can’t stress how lucky we are to be able to enjoy the bay with the dolphins and other sea creatures. Please show the utmost respect when you are with them. Don’t chase them. Don’t stand on the reef, and make sure to tie your kayak to your ankle and don’t land it on the shore. Enjoy this sacred place. Aloha Nui Loa! 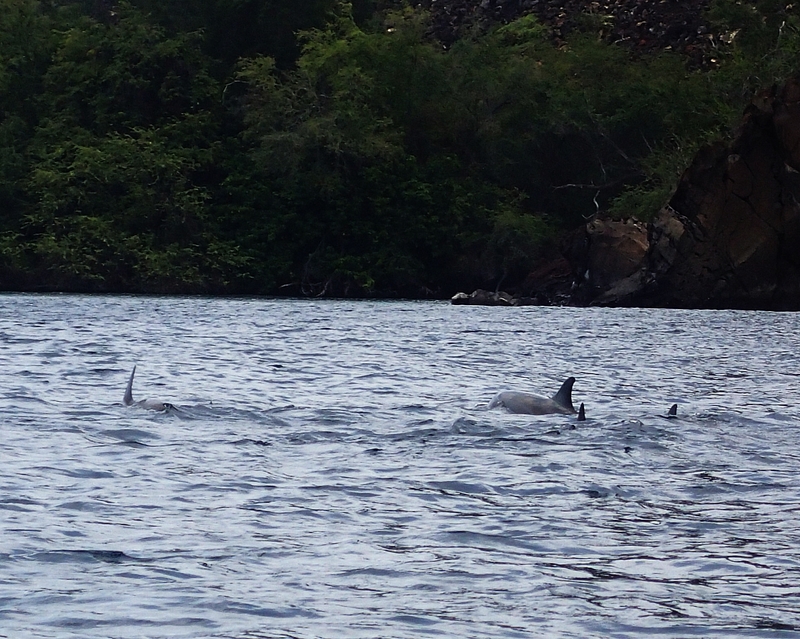 OMG these dolphins are my dream. Would love to swim with them! This looks awesome. Sounds like wonderful adventure. Thanks for sharing!